There must come a point where we allow Jimmy Corcoran to get on with his life and leave Chesterfield in the rear-view mirror. 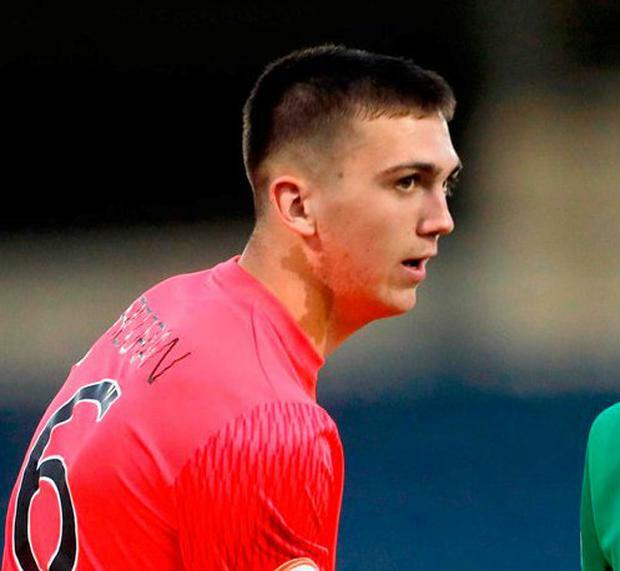 Corcoran, the Ireland U-17 goalkeeper who was sent off during the penalty shoot-out defeat to the Netherlands in the qaurter-finals of the U-17 European Championship, is about to start a new chapter of his career as a pro at Preston. He needs to concentrate on that without being reminded of his night to forget. But his suffering has become the reference point as referees continue to ignore offences by goalkeepers when it comes to staying on their line for penalties. At the sharp end of the Champions League and the World Cup, high-profile net-minders are getting away with blatant infringements. It hasn't become a major talking point in Russia, but bitter experience means Irish eyes are much more sensitive to it. 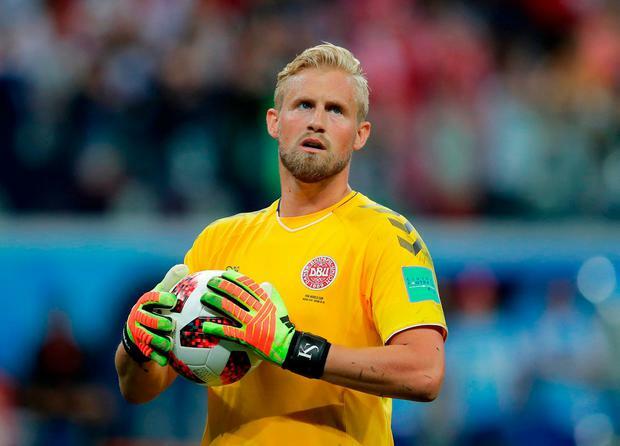 One wonders what Czech official Zbynek Proske would have made of Kasper Schmeichel's encroachment off his line as he saved penalties in extra-time and the penalty shoot-out in Denmark's eventual defeat to Croatia. American sports blog SB Nation was unflustered by the offence. "Yes, Schmeichel was jumping off his line early, something Subasic (Croatia keeper Danijel) might have done once or twice as well. But who cares? That's a rule that's enforced only sometimes." Proske decided to enforce it and teach Corcoran a very, very harsh lesson. What happened still sits uncomfortably. The Dutch coach was clearly embarrassed, while Martin O'Neill stormed on to the pitch to try and get a handle on the ref's mindset. Corcoran was in tears, but the Irish camp conceded that the official had issued a warning before the kicks were taken. The gripe on the night was that the first warning was actually given to the Dutch goalkeeper before Corcoran was cut down as he celebrated the penalty stop that had kept Ireland in the competition. Still, in the cold light of day the youngster from Meath responded admirably by saying it was the correct decision. And that was just about the only way that the Irish lads could swallow it. Much as it seemed particularly mean-spirited, Proske was following directives and had applied the letter of the law. It is the absence of consistency - as demonstrated by Schmeichel getting away with it constantly - which is infuriating. Corcoran was the small guy, the learner driver being sanctioned for driving at 55kmh in a 50kmh zone while the big boys escape with pelting it down the motorway at 150kmh. That's a tough lesson to absorb. Is there any explanation? There doesn't seem to be one. When a goalkeeper comes off his line to make a stop, the penalty should be retaken and the goalkeeper booked. By that measure, Schmeichel should have been yellow-carded for his extra-time stop from Modric and then sent off during the shoot-out. Naturally, outrage would have followed, and Argentinian referee Nestor Pitana would have spent the rest of his life as the answer for a quiz question. It would be an extreme way to go out of a World Cup but, if a rule is only casually enforced, then why does it exist? It's certainly hard to digest at a time when VAR is making a positive impact at this World Cup and urging players to think twice about negative or cynical play in the area. The penalty-kick debate exposes a flaw in the system. The International Football Association Board (IFAB), the body that determines the laws of the game, confirmed to the Irish Independent that 'in principle, the VAR continues to operate during KFPM' (Kicks from the Penalty Mark - the official term that could also function for trivia purposes). However, this is why there's a slight issue when it comes to the clear and obvious error that requires VAR to have a word in the referee's ear. When it's normal play and there's a handball or a foul or a quick movement in the box that is missed by the referee, then VAR is not undermining the official by calling it out. There's an understanding that he might just have failed to catch it. But there's no real excuse for the referee or his assistants missing out on an infringement during the singular act of taking a penalty - especially in a shoot-out - because they do not have other players in the area to worry about. That is basically their job. Ironically enough, Schmeichel protested that Andrej Kramaric was guilty of feinting in the run-up for his successful kick, and would presumably have welcomed referrals which would then have exposed the Leicester stopper's indiscretions. But the basic point is that the policing of penalty shootouts comes down to the discretion of a referee and a VAR interruption would basically have boiled down to the office in Moscow highlighting the point that Pitana was ignoring the rules - an unlikely scenario. What will happen if another referee goes down the route of Proske and enforces the rules? Don't hold your breath. That old line about one rule for some, another rule for others can smack of paranoia, but in this case it seems particularly relevant.